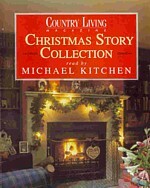 A delightful collection of short stories set in the British countryside at Christmas time. From Thomas Hardy to E.F. Benson these tales are the fruits of famous writers who have been moved to express and record the feelings and observations of rural life that every country lover will recognise. Michael Kitchen's career includes outstanding work for the Royal Shakespeare Company and for the Royal National Theatre, as well as leading roles in film and television including King Charles III (sic) in To Play the King.